Abstract: Travelling is a great thing to do. No matter which season it is, it will always be a good time to start a new adventure or see new parts of the world. 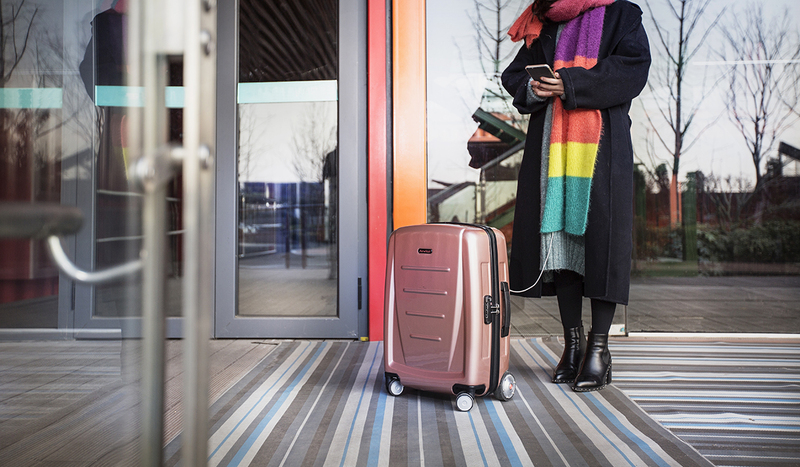 The reason why many people travel is because they love an adventure and travel will be easier with Airwheel SR5 smart suitcase. Most people travel as part of their daily routine, not only because it is enjoyable but also because it has a lot to offer. Are you familiar with the saying, “The world is a book; those who do not travel read only a page”? Traveling for the holidays should be easy. 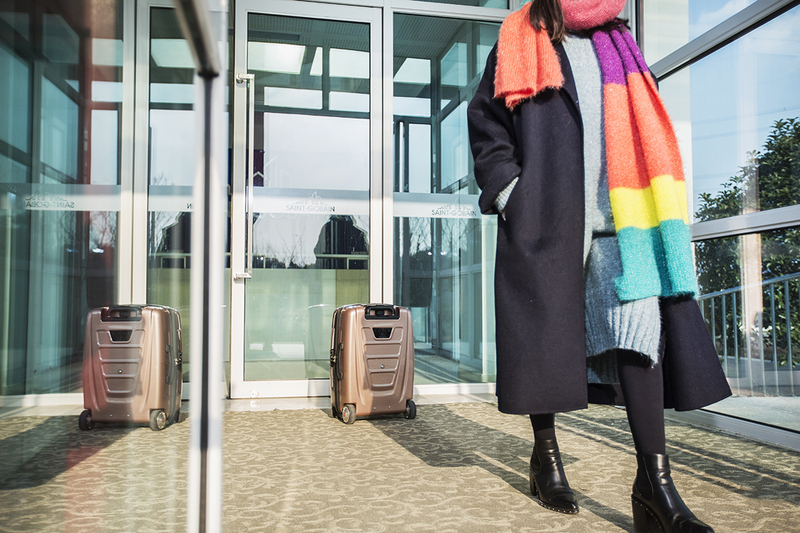 With mode of auto-follow, you can let Airwheel SR5 smart luggage follow you anywhere. The core technology of the SR5 includes visual tracking, remote control, anti-lost alarm and intelligent obstacle avoidance. The visual tracking and sensor technology make SR5 realize auto-follow and intelligent obstacle avoidance. It can travel autonomously without bumping into people or objects. SR5 smart suitcase and your mobile will release alarm when it is separated from the user beyond safe distance. It is able to sense the distance. Position track and anti-lost alarm allow users to switch between auto-follow and remote control easily and safely. In addition to auto follow, you can control it via Bluetooth. Three control modes are available: one-hand 360 ° mode, two-hand control mode and gravity sensing mode. You can remote control it to play with your pets or load other heavy travel items on it, fully enjoying the convenience brought by AI. SR5 auto-follow suitcase is equipped with advanced and highly intelligent chips. When the processing speed needs to be increased, the CPU can exert its full performance. The wide-angle camera and sensor can track the user's position and identify user accurately with real-time recognition and tracking algorithms. Hence, even in crowded airports or shopping malls, SR5 will follow YOU, instead of others. There are lots of places to explore in the world. Your travel does not have to be limited to where you live or what you read in a book, there are many exciting places to experience in the real world. Try the unmanned Airwheel smart robot suitcase SR5 now!